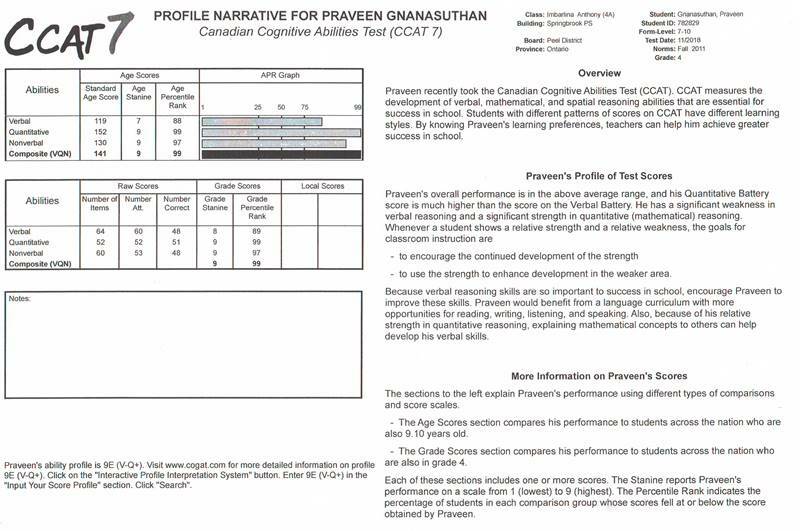 Right now at school studying in Grade 4, at NallPro he is studying Grade 5 and some Grade 6 level. How to prepare students for EQAO Math Exam at NallPro? 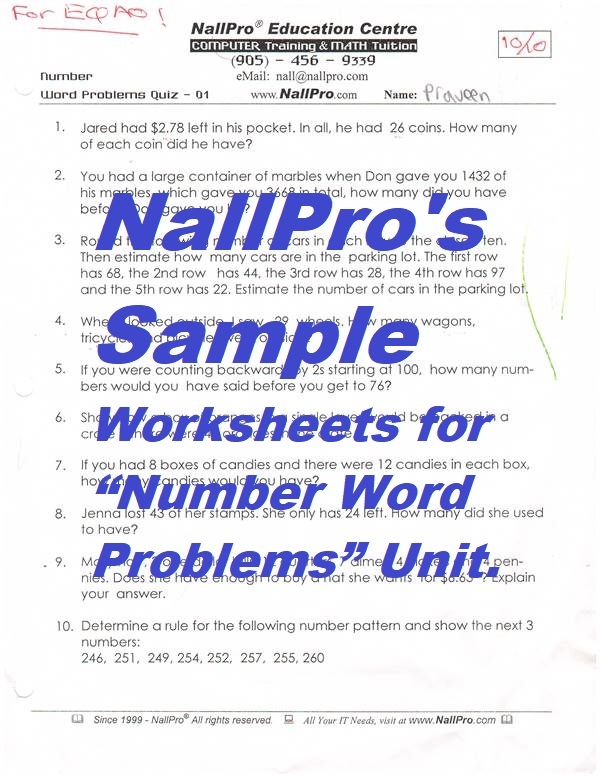 The following sheet is one of the example for "Numbar Word Problems" Unit. 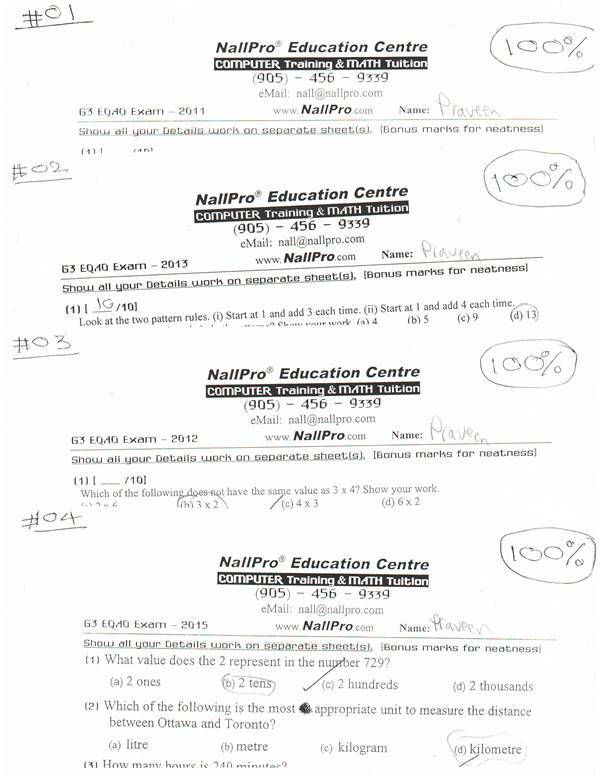 And Praveen got 100% in most of the Unit Tests. 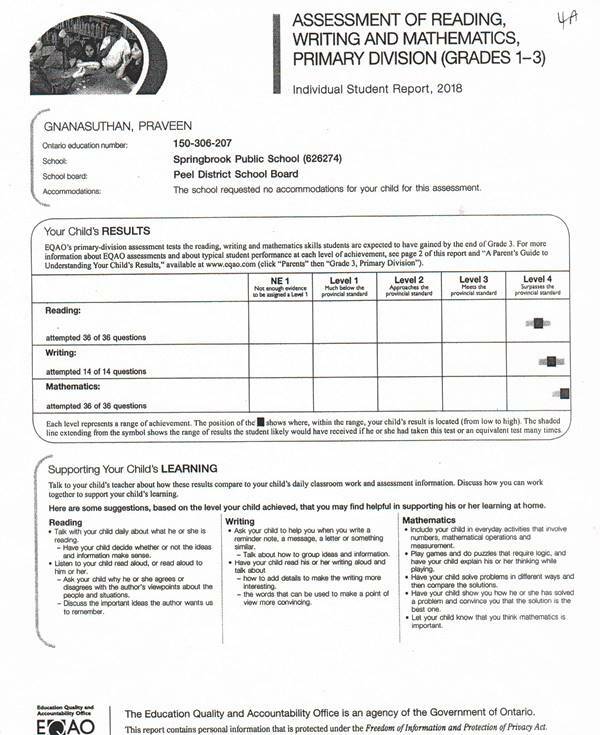 NallPro’s Worksheets result always matching with school one; because NallPro always follows the Ontario Ministry of Education Mathematics Curriculum Guidelines.